The Weston Intermediate School PTO is dedicated to doing its very best to work with local businesses, community members, friends, and family of students, to organize and create opportunities for fundraising efforts to ensure our kids get the very best they need for their education. Keep clipping those Box Tops and have your child(ren) turn them into their classroom collection containers. You’ll be amazed at how much is collected and raised for our school! Go to www.btfe.com for more information. For a list of participating products click here. 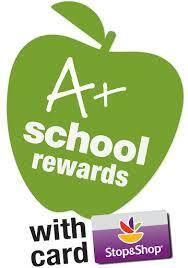 Register your Stop-n-Shop card and start earning dollars for our school. Click here to sign-up your card and designate a school. Register your REDcard Target Credit Card, Target Debit Card or Target Visa Credit Card at www.Target.com/tcoe or call 1-800-659-2396 to designate Weston Intermediate School, ID#123347. 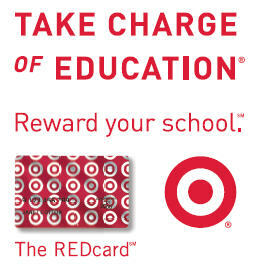 Target will donate 1% of your REDcard purchases to our school made at Target and Target.com. Did you know that you will save 5% every time you shop with your Target credit or debit card? In addition, AAA Members save $10 off $100 purchase at Target.com. Simply start at www.AAA.com, sign-in and start shopping at Target.com.